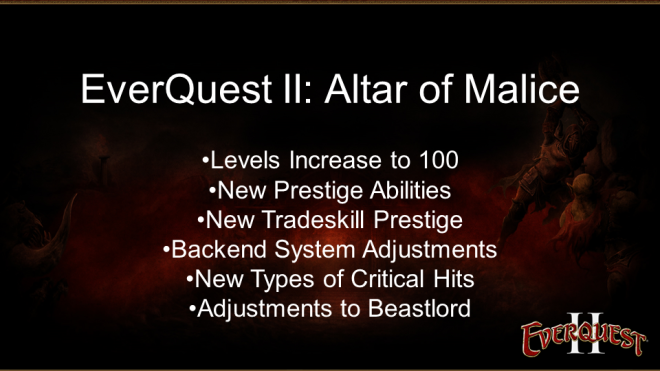 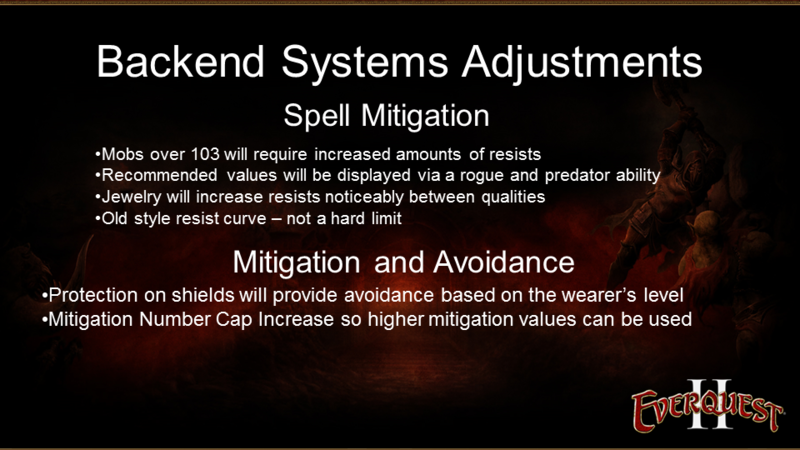 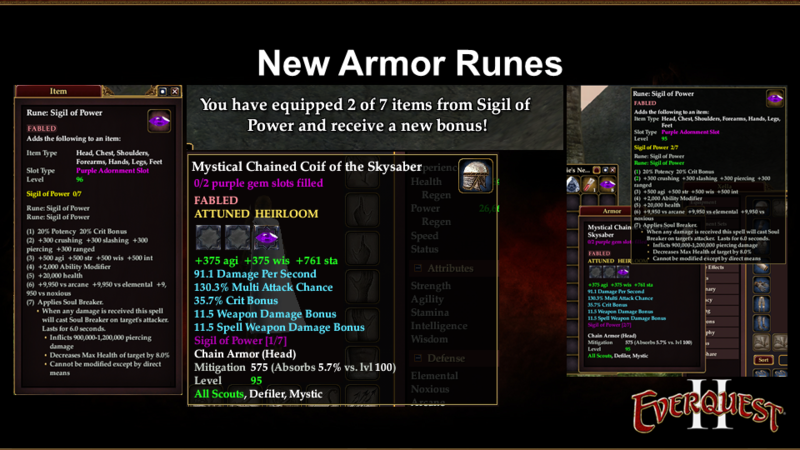 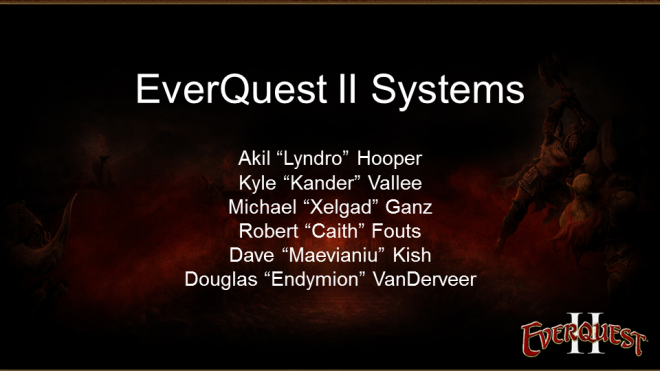 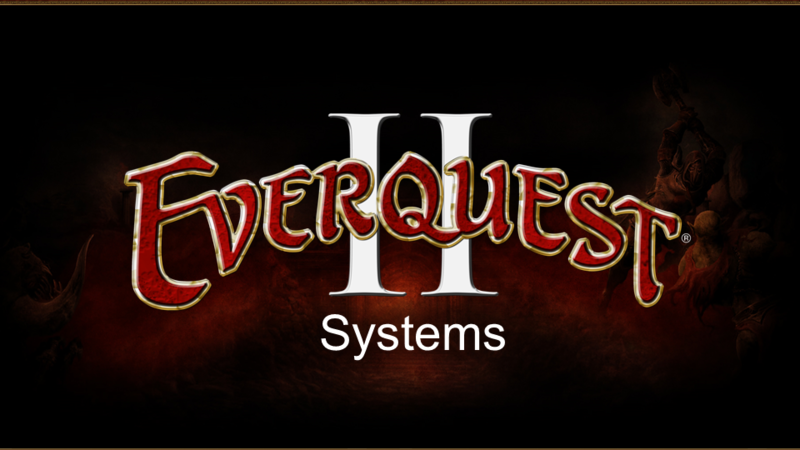 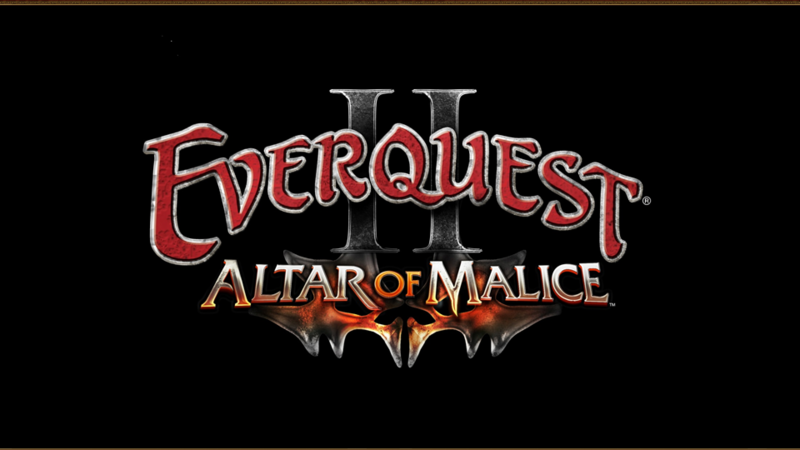 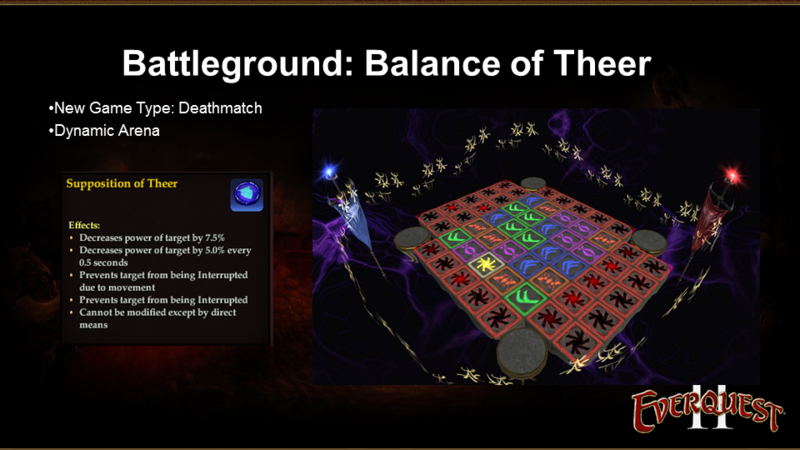 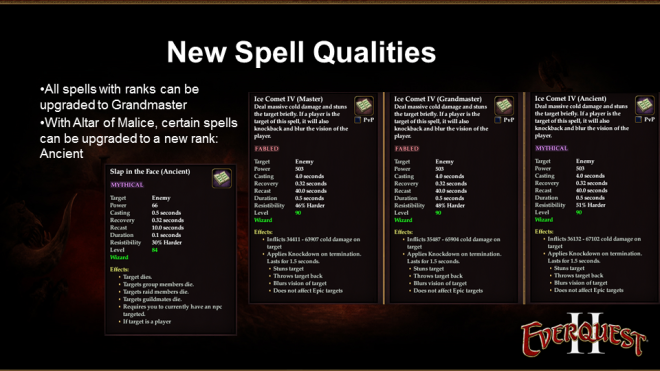 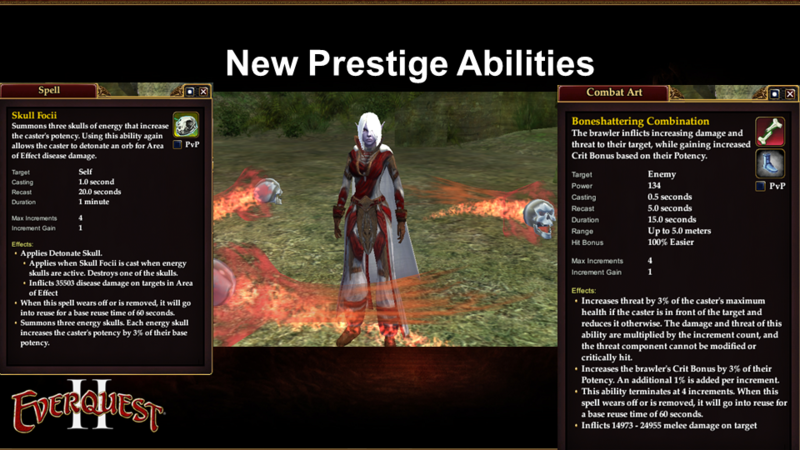 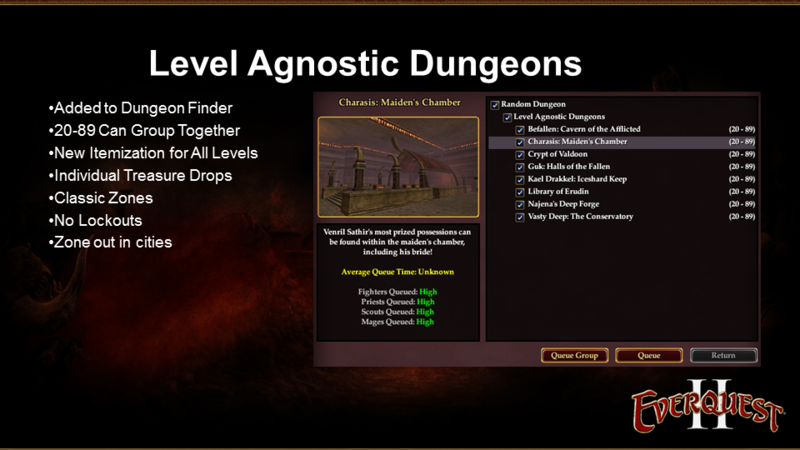 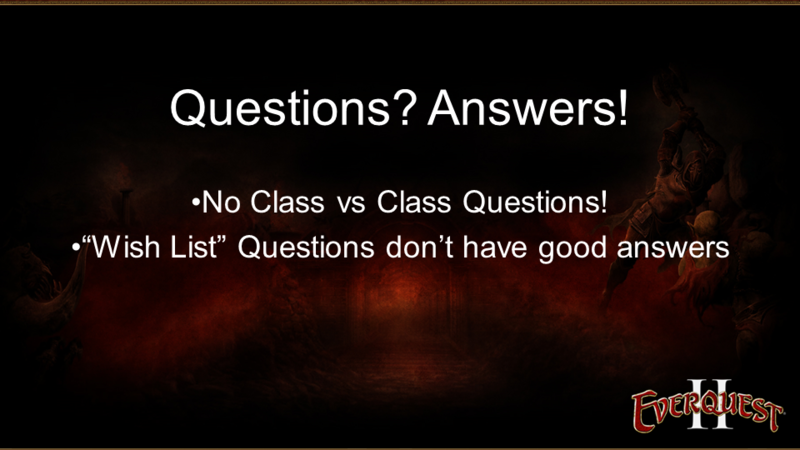 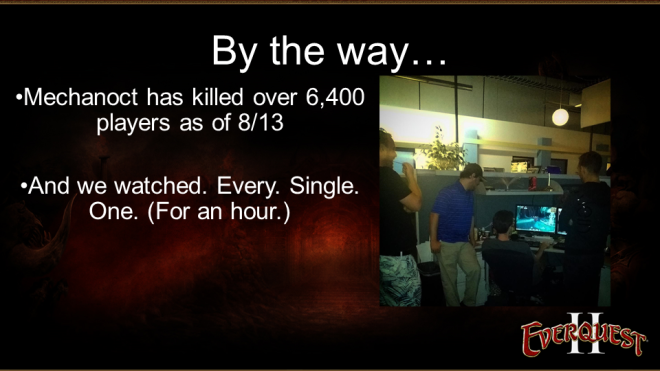 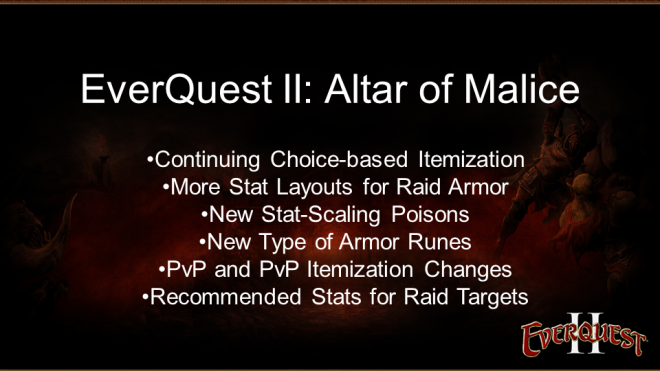 Here are the slides presented by the EverQuest II team specifically the mechanics/systems guys. Akil “Lyndro” Hooper, Kyle “Kander” Vallee, Michael “Xelgad” Ganz, Robert “Caith” Fouts, Dave “Maevianiu” Kish, and Douglas “Endymion” VanDerveer were presenting. 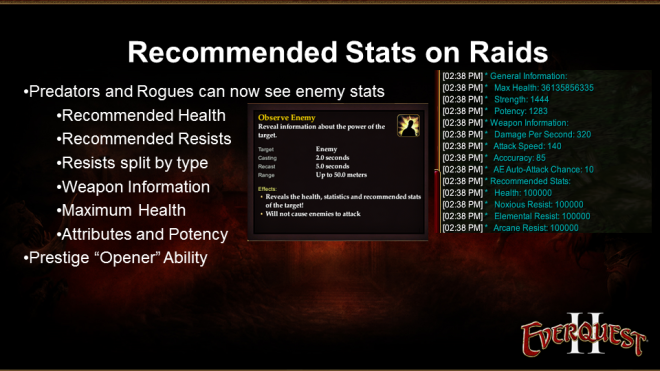 Poison modified by crit bonus, but can not crit? I do get what thay mean. 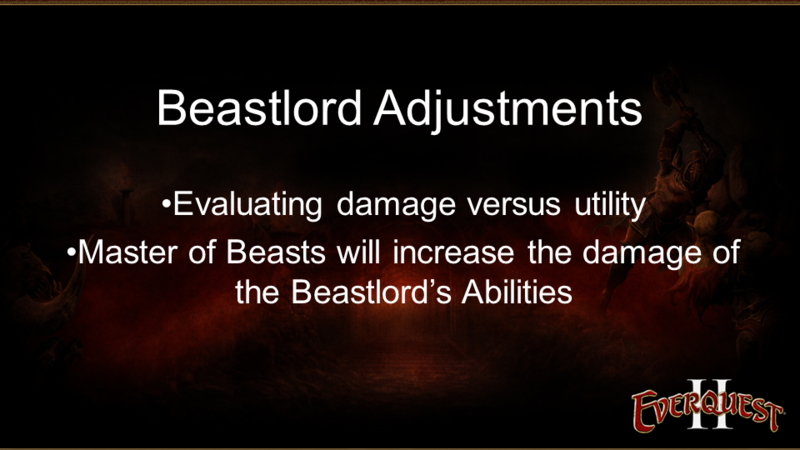 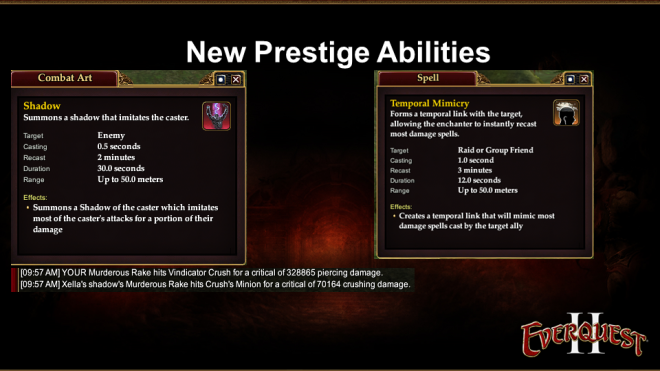 the crit bonus value modifies the poison damage, and not the crit damage it would have if it could crit but still. 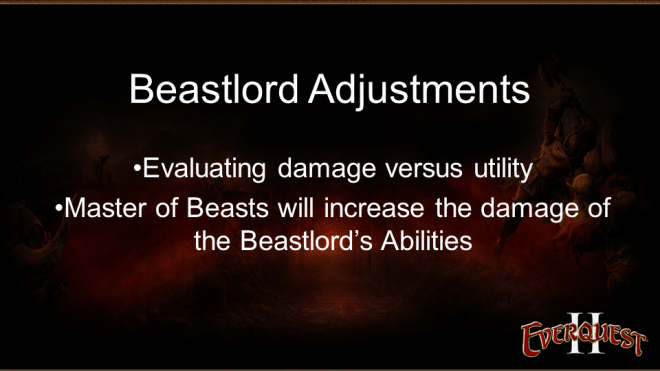 Would it not have been more logical to just have the potency modifie it more instead? 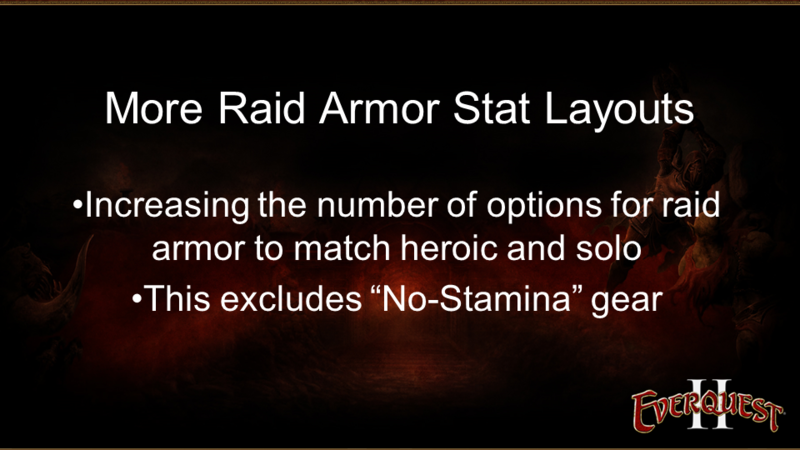 It’s probably easier to keep the code as it is and just remove them from legendary/fabled/mythical crit system. 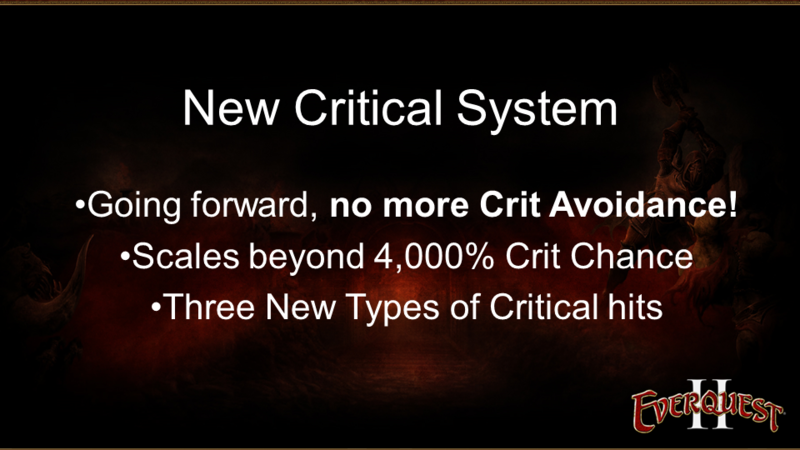 They’ll probably “crit” and follow the now-standard formula up until that multiplier. Poisons are an item, not an ability. Thus it cannot crit. 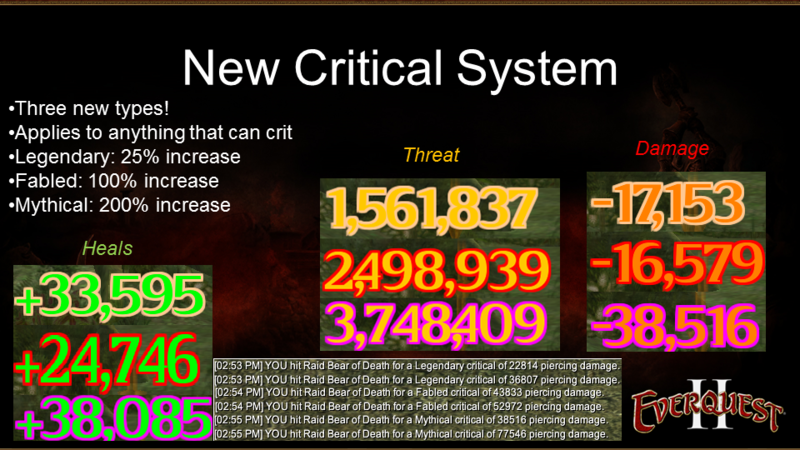 Just as far as damage, it looks like it will put out some very relevant/appropriate numbers. 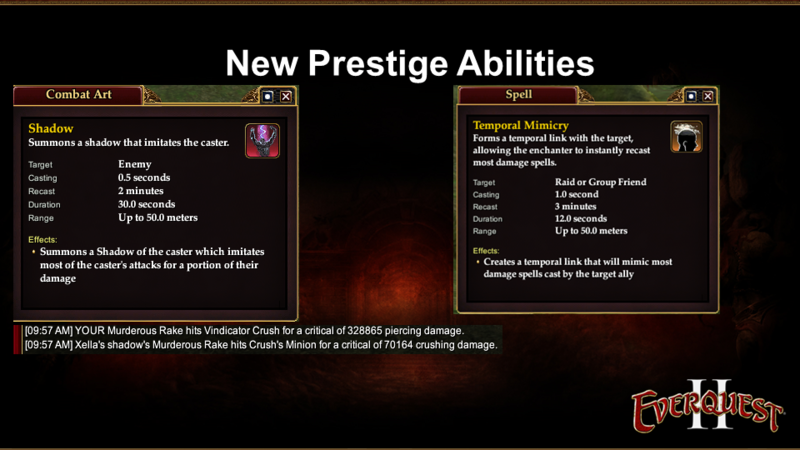 It just won’t crit. 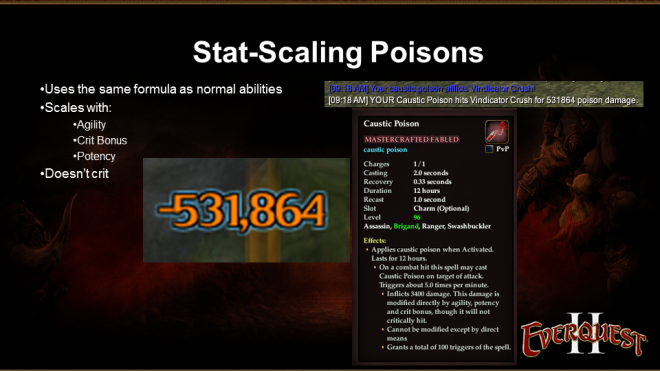 Poisons crit until GU52. Items are perfectly capable of critting. 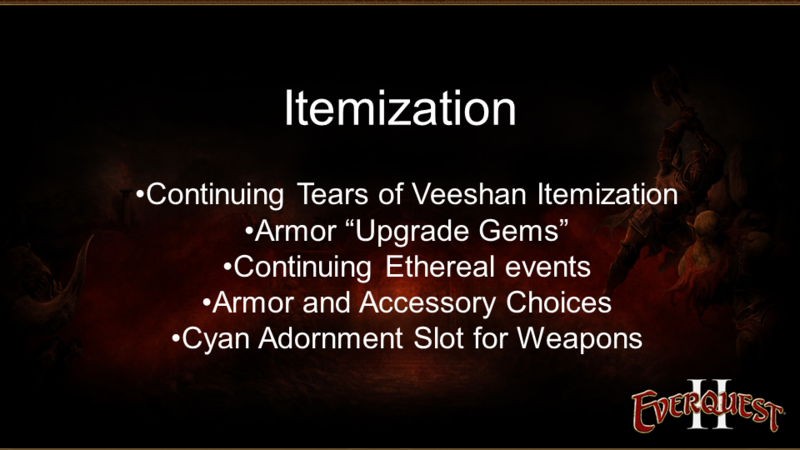 Some procs on wearable items still do. 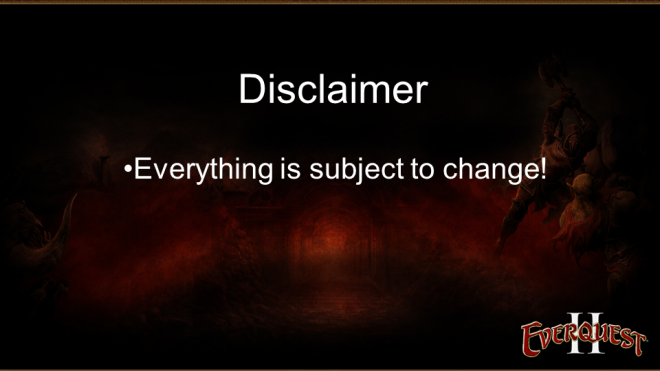 Aeralik broke so much stuff in the code, nothing surprises me. 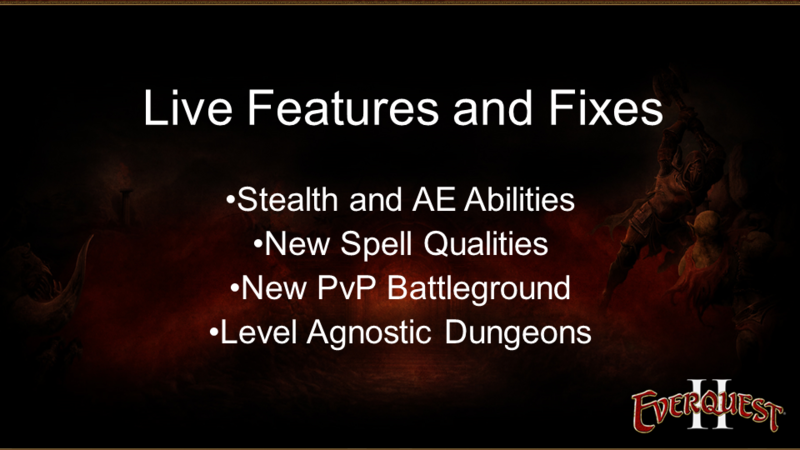 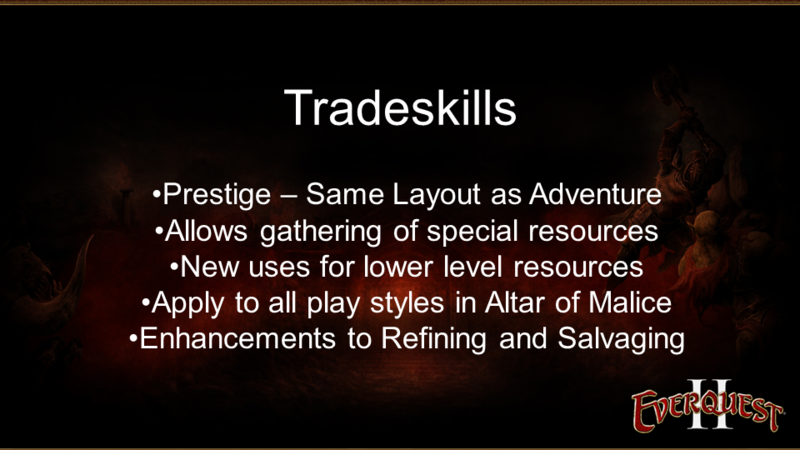 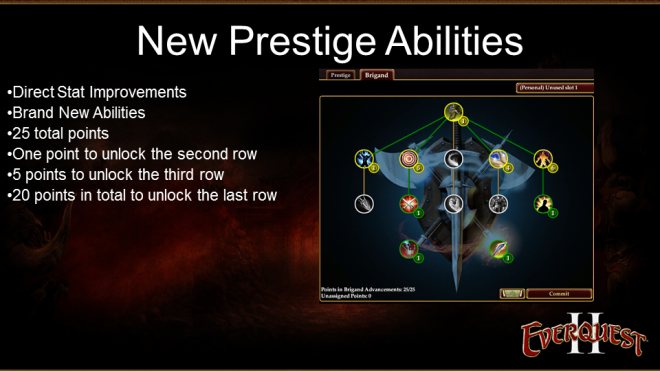 I noticed they mentioned Stealth and AE abilities at the top of the slides but there is no slide that addresses what they are doing for features and fixes. 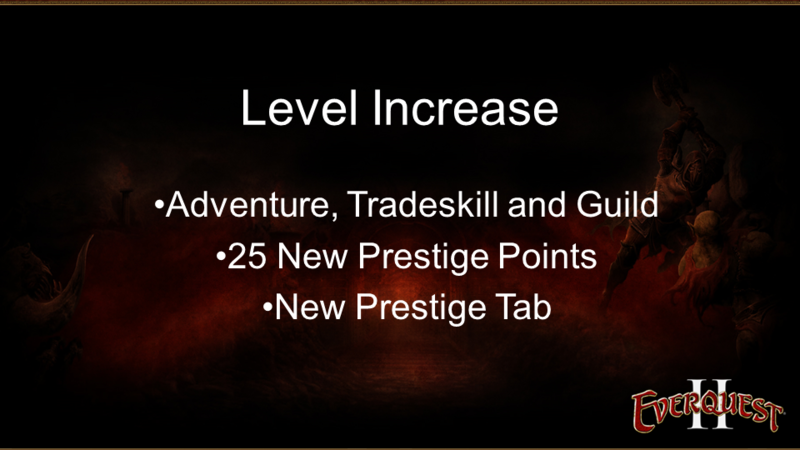 Are they changing something? Reactive fixes for clerics made every single ae dot tick in raids interrupt stealth, some of which happen every 1-2 seconds. 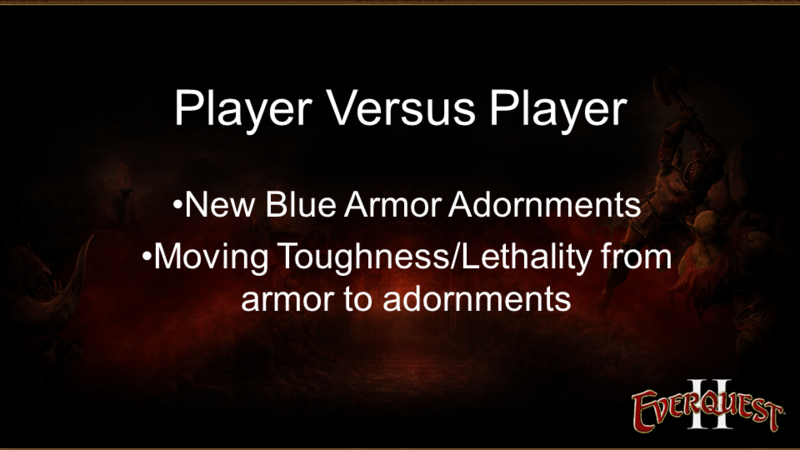 Predators are dumb to play on some fights until it’s fixed. With stealth, they said that scouts are constantly being pulled from stealth due to mob abilities and AoEs and then can’t dps or use stealth only abilities. 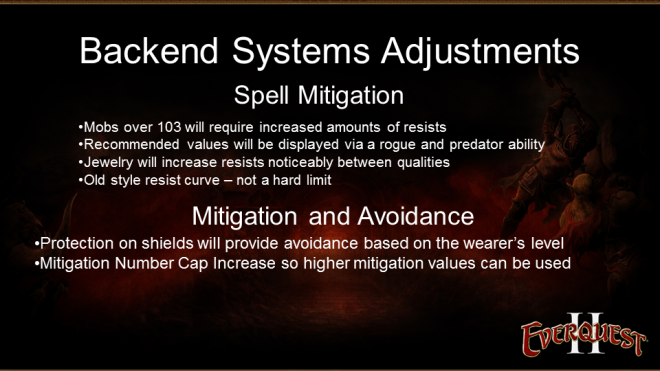 They are going to make it (subject to change) that stealth attacks will just work without having to worry about AoEs pulling you out of stealth. Just don’t mention the ‘hidden luck attribute’ on the official forums unless you want a 5 day vacation.